Previously, we had talked about some of the strangest weapons and biggest guns used during WWII. But the real ‘quotient’ of destruction brought on by the war really hits us when analysed from the perspective of human casualties. 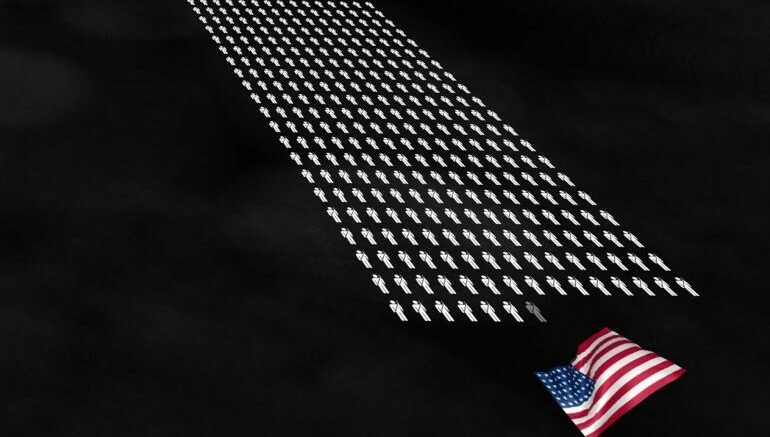 And, that is exactly what an animated data visualization by Neil Halloran, with his aptly named ‘The Fallen of World War II‘ project. The over 15 minutes video graphically showcases three different statistical scopes – all representing the loss of human lives. The first section of the video deals with number of soldiers killed based on nationalities; the second section entails civilian deaths (that also includes Holocaust); and the third (and final) segment assesses the contextual ambit of World War II fatalities when compared to both past and future conflicts. Just to give an example, it is estimated that a total of 60 – 80 million people lost their lives during the six-year phase of the massive world war. This number equals to the TOTAL population of present-day France, a country counted among the big European nations. Suffice it say, the content is unnerving for most of us who are accustomed to the domiciliary lifestyle uninterrupted by any major-scale war. But more importantly, the film demonstrates how even simple graphical depictions can make their poignant case, especially when it comes to the intangible yet profound preciousness of a human life.